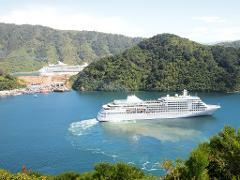 From the Port of Picton, NZ, join Your Local Chauffeur on a scenic drive through to Blenheim and our famous Marlborough wine region. Taste our sensational wines and partake of some our most tantalising gourmet treats. Hop on board for the very best of Marlborough's Highlights. Your onshore excursion will include spectacular scenic views, great tasting wines, gourmet treats and a choice of heritage options at the Omaka Aviation Centre. 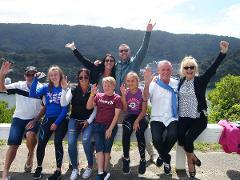 Wine, gourmet and scenic tours for small personal groups of 7 -11 seats. 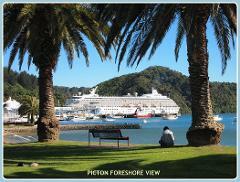 Ideal for your private tour group or Onshore Cruise visit to Port of Picton NZ. A comfortable Mini Tour Van is available for advance bookings.